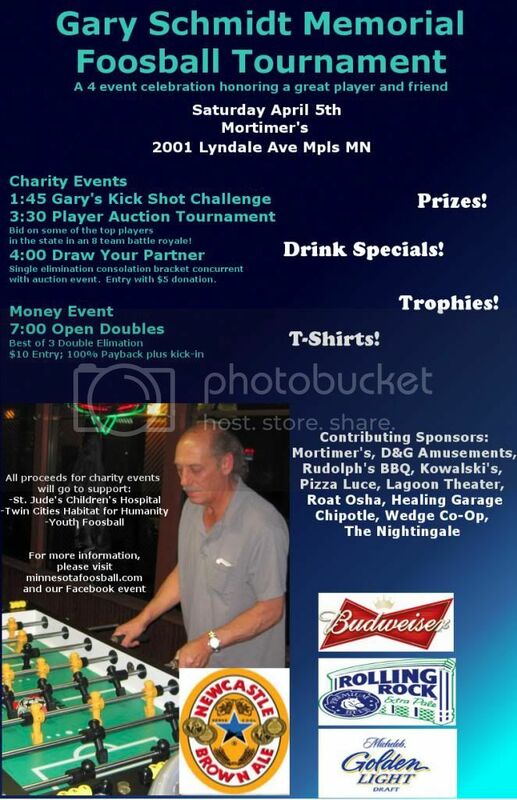 We're having quite the memorial celebration and tournament for fallen Hudson, WI, fooser Gary Schmidt on April 5th. Confirmed attendees from St. Cloud, Grand Forks, Mankato, the Twin Cities and eastern Wisconsin as well as many of the areas top pro's will make this quite the midwestern foos-together. Come get your foos on and kick-shoot it for cause on April 5th!